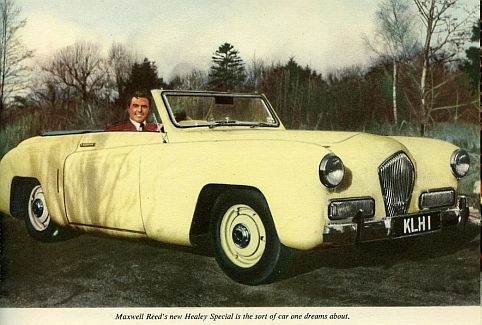 Maxwell Reed was a well known (in his day) actor, who was married to Joan Collins from 1952-56. He allegedly tried to sell her to an Arab sheik for £10,000, just seven months after their wedding, which may have contributed to their divorce - maybe he just wanted the money to pay for a new Healey! He was apparently a 'matinee idol' in the 50s and was in a number of films and TV shows from 1946 to 1968 including bit parts in Bonanza and Perry Mason. 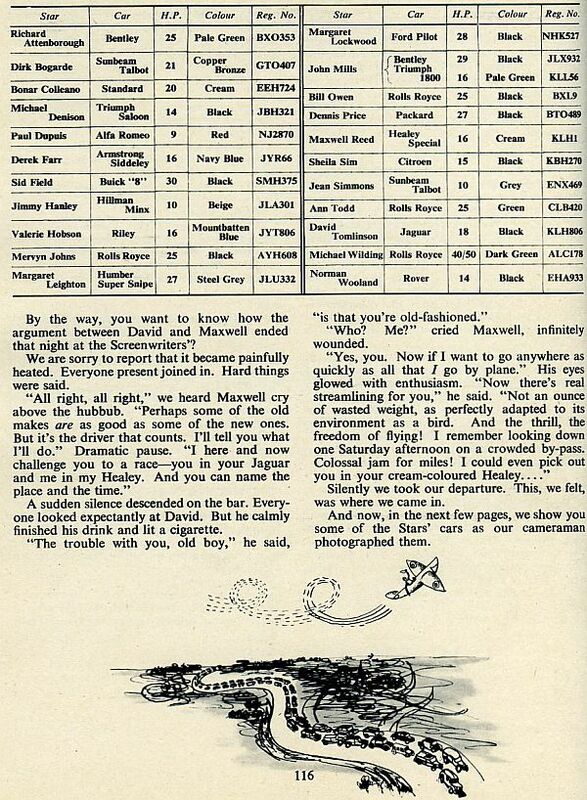 As far as I know, we have no record of the car, so if you have any information, please contact the webmaster. 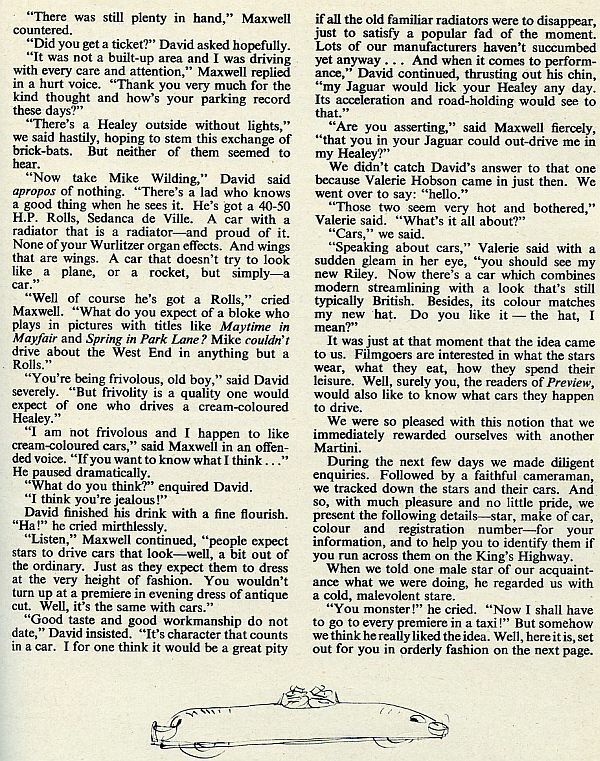 Here is the interview with him that was published in a 1950 edition of a book called 'Preview'. 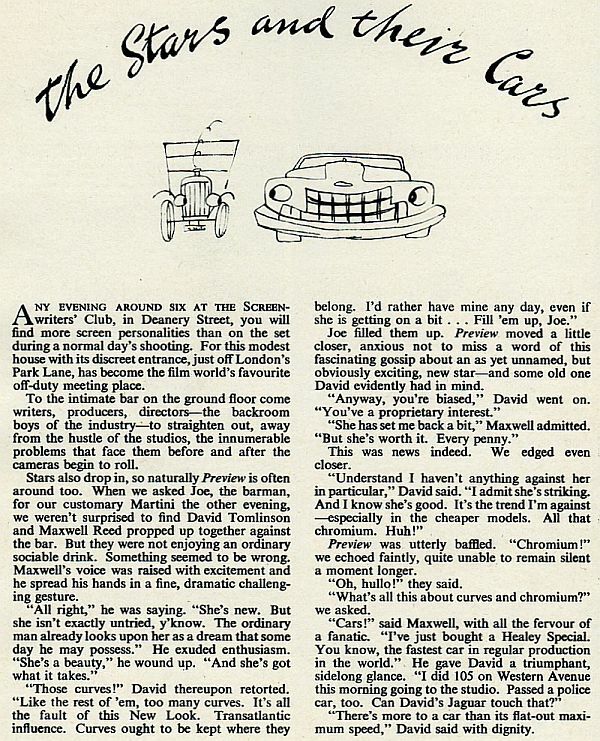 The full article is below - it's a long way from what we would expect these days about a star and his car, but is probably representative of how things were in 1950! Thanks to Denis Meagher for sending me the information.